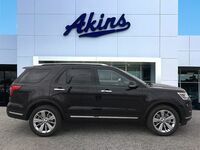 Can the 2019 Ford Explorer lineup help the model achieve another year of being the best-selling 3-row SUV in the country? 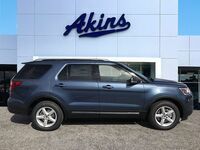 Everyone here at Akins Ford near Atlanta, GA, certainly thinks so, and it’s not hard to see why. 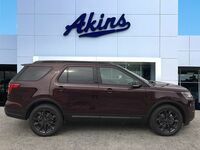 Like the new Explorer lineups that have come before it, the 2019 Explorer lineup offers some impressive power ratings. 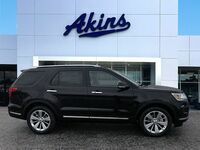 You’re getting a max horsepower rating of 290 and a max torque rating of 255 lb-ft. with the lineup’s standard 3.5-liter V6 Ti-VCT engine. If that’s not enough, you can get a max horsepower rating of 280 and a max torque rating of 310 lb-ft. with the lineup’s available 2.3-liter 4-cylinder EcoBoost engine, or a max horsepower rating of 365 and a max torque rating of 350 lb-ft. with the lineup’s available 3.5-liter V6 EcoBoost engine. 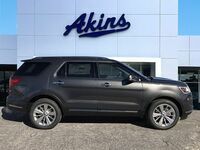 You’re also getting 151.5 cubic-feet of total passenger volume and up to 81.7 cubic-feet of total cargo capacity with your new 2019 Ford Explorer. 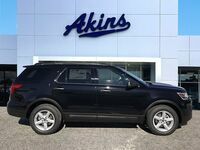 What Features and Packages are Available for the 2019 Ford Explorer Lineup at Akins Ford near Atlanta GA? 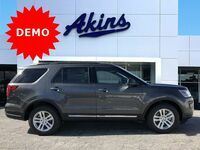 The 2019 Ford Explorer lineup has a long list of standard features, available features, and optional packages, so let’s get right down to it. 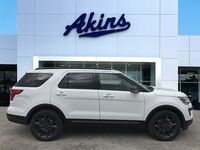 Standard and available features for the 2019 Explorer lineup include 12-volt powerpoints (4), four enhanced audio systems to choose from, automatic LED headlights, daytime running lights that can be configured to meet your needs, hill start assist capabilities, remote keyless entry capabilities, the choice between two SYNC infotainment systems, trailer sway control technology, AdvanceTrac technology with roll stability control capabilities and curve control capabilities, a rear view camera, adaptive cruise control capabilities, forward collision warning capabilities including brake support technology, rear entertainment technology, next generation active park assist capabilities, a front-facing 180-degree camera, a foot-activated power liftgate, windshield wipers that sense rain, advanced reverse sensing technology, voice-activated navigation capabilities, and optimized lane keeping technology including lane keeping aid capabilities and lane keeping alert technology. 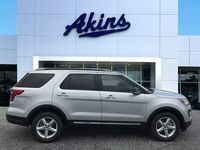 Optional packages for your 2019 Explorer include a pair of towing enhancement packages, a Comfort Package, a Driver-Connect Package, and the Ford Safe and Smart Package. 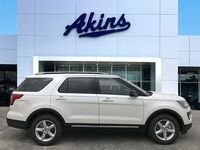 To learn even more about the 2019 Ford Explorer lineup at Akins Ford near Atlanta, GA, please reach out to our staff.